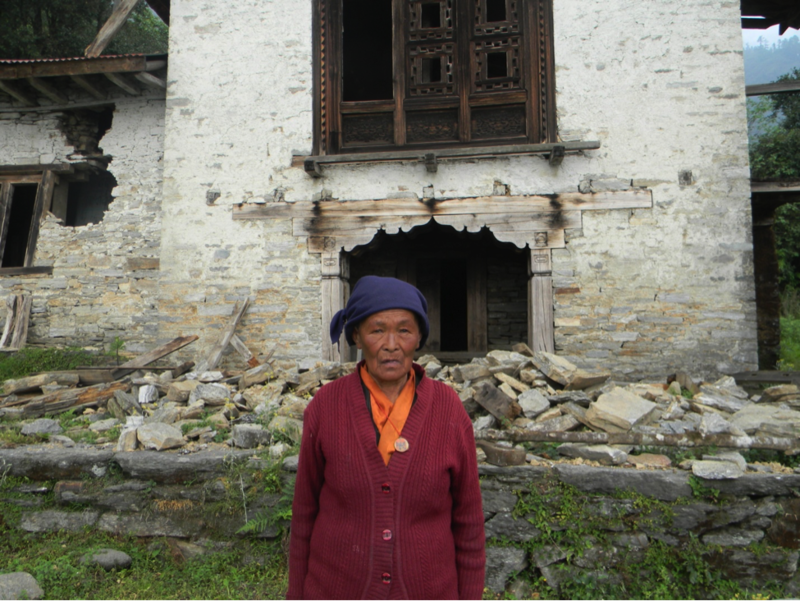 Chhokpa is the only one living here in what used to be a private monastery. The house is one story, plus a two story barn/storage building. She does not know what she would want in replacement, as the house belongs to a relative in Kathmandu. She is afraid all the time that another quake will come, but her relatives provide her with comfort. She has no idea when things will return to normal, and she hears rumor that another big quake is coming.